Kardashian “Momager” Kris Jenner is certainly an outspoken, take charge kind of woman. It seems that everything in the famous family’s universe revolves around Kris. Now, it seems she’s ready to take things to the next level — by hosting her very own daytime talk show. Because really, what the world needs now is yet another Kardashian television show, right? Khloe Kardashian is going to co-host ‘The X Factor,’ Kim and Kourtney Kardashian are off filming ‘Kourtney & Kim Take Miami,’ so what’s left for Kris Jenner? Guest spots on her daughter’s shows? No. She wants more, and anyone familiar with Kris knows she usually gets exactly what she wants. A new report claims that Kris Jenner is “quietly working on a daily talk show for Fox.” To be fair, Kris did a decent job as a guest host on CBS’ ‘The Talk’ and ABC’s ‘The View,’ but is she ready to take over the reins and fly solo? 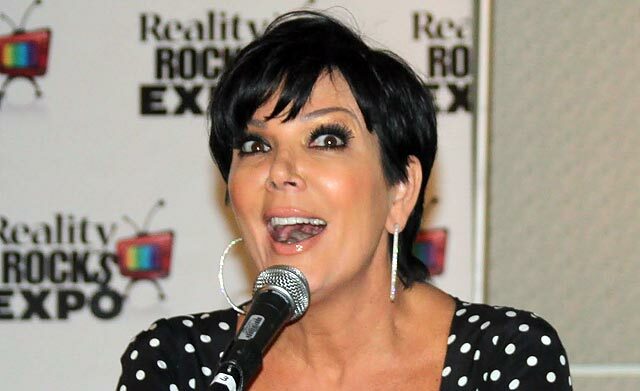 Apparently the execs at Twentieth Television think so: Deadline claims that Kris Jenner’s new daytime talk show will have a “six-week test run” on several Fox stations.